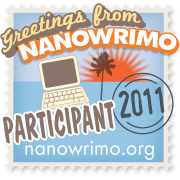 Remember when this was a blog about writing and my writing “career”? Well, I actually have some news on that front. I got an acceptance for one of my stories (“Thirty-Nine”) at Stupefying Stories. That’s my second acceptance, with my first being “Gauntlet” to On Spec. Right now I only have one other story being reviewed, it being an urban fantasy for an anthology. We’ll see how it goes (fingers-crossed). This entry was posted in Announcements and News and tagged acceptance, fiction, publishing, sci-fi, short stories, writing. Bookmark the permalink.